Books and coffee go together like few other combinations. Thankfully, Amman has no shortage of either. While some cafes have limited space and are in a hurry to shoo you out, the spots we’ve rounded up for you will always welcome your long stays and provide a great ambiance as you work your way through a good book. Whatever kind of bibliophile you may be, this Weekender is for you. 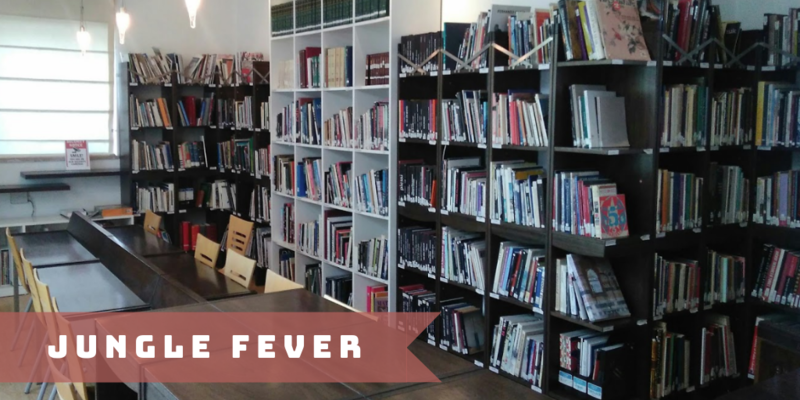 Tucked away behind the shelves and bookcases of the Abdulhamid Shoman Library, Rumi’s second branch is perfect for those who cannot focus through the noise of a cafe but still prefer a more relaxed atmosphere than a library could offer. Grab a cup of your favorite coffee, or tea, before exploring this never-ending labyrinth of books and novels. 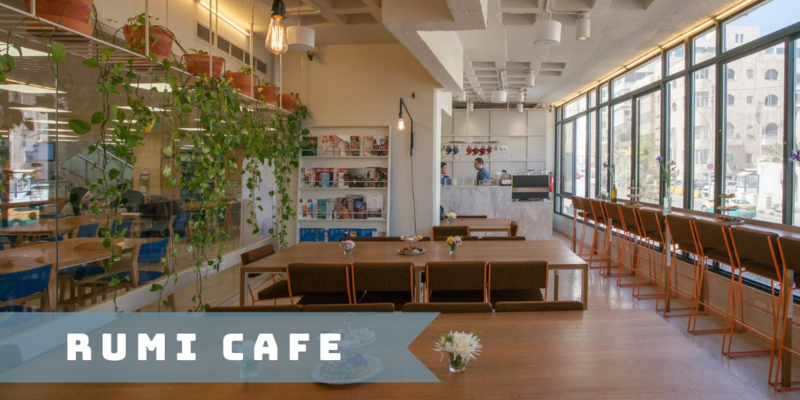 Unlike any other, this intimate cafe intricately combines aesthetics, refreshments, and books. Located atop the National Art Gallery, Jungle Fever is without a doubt the most quiet cafe in town. You’ll get to enjoy any book you pick out from their library without getting distracted by the outside world which, for those of you who know Amman well, is extremely difficult to do. 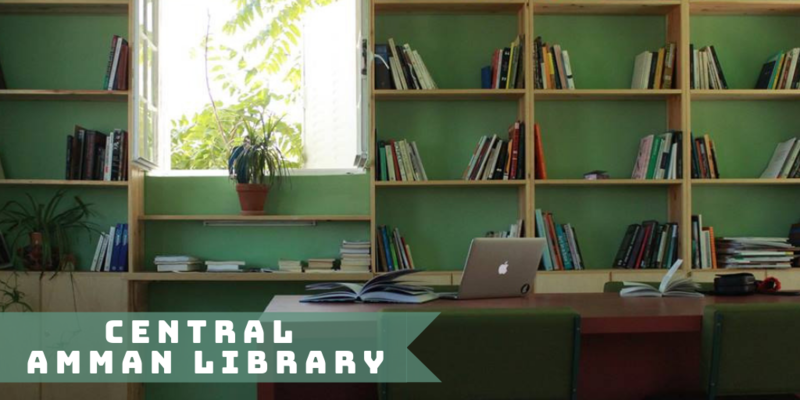 Overlooking the old city, the Central Amman Library is a hidden gem with a warm atmosphere, friendly staff, and a devoted community. Although not your typical library cafe, it’s perfect for anyone looking to read in peace while sipping on a hot drink. The library also hosts monthly reading groups if you’re interested in talking about the latest book you’ve finished. Effortlessly promoting productivity with its high ceiling and spacious atmosphere, Astrolabe has designed its Khalda branch with book lovers in mind. 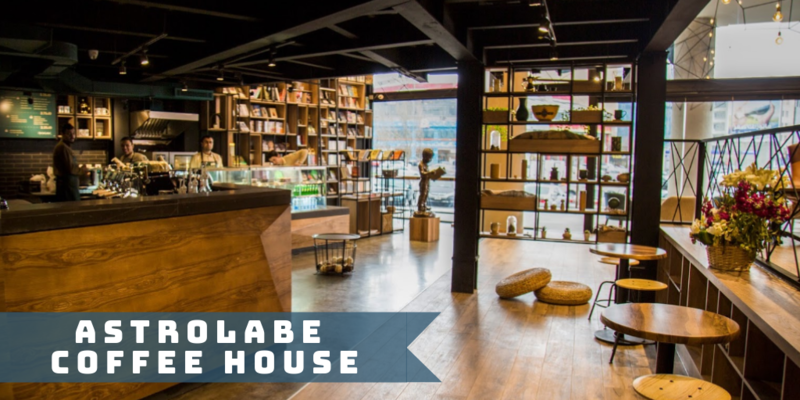 Not only are their snacks delicious and their coffee rich, but with lots of natural daylight illuminating the space, comfy couches in every corner, and a bookshelf wall filled to its brim, this coffee house is every bibliophile’s dream. 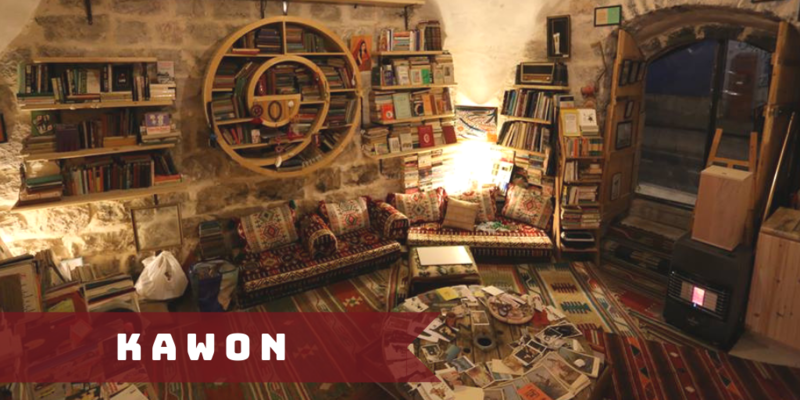 New to Madaba, Kawon is a wondrous bookstore and café that is well worth the trip. This social space will make you feel right at home. Just order your favorite drink, curl up on one of their big couches and let yourself sink right into a good book from their rare and extensive collection. 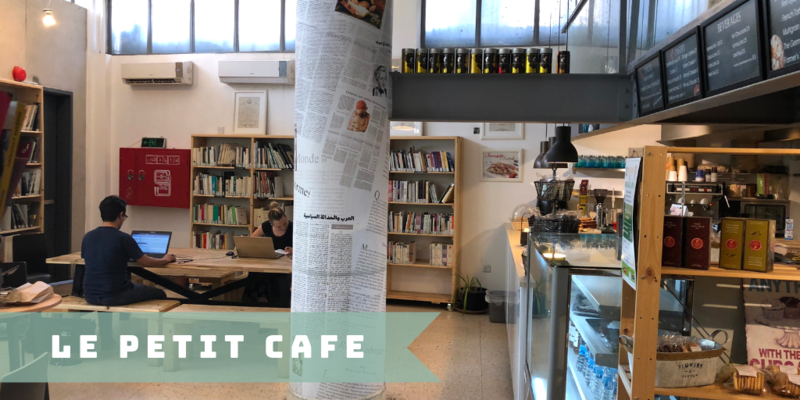 Hidden away in the French Institute’s library, Le Petit Cafe is as relaxed as you’d expect a book cafe to be. 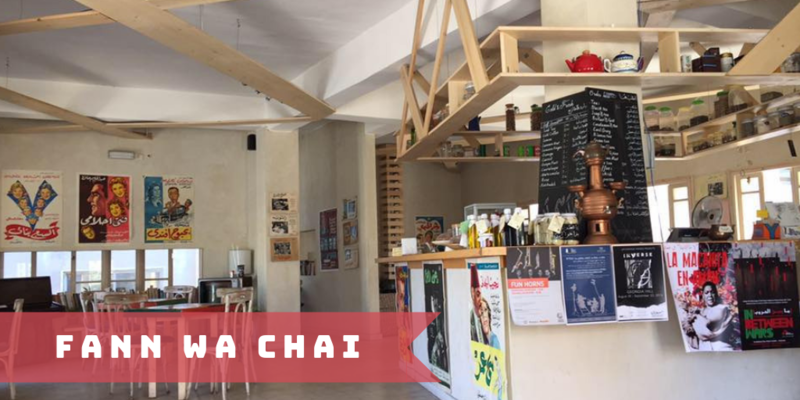 Treat yourself to a cup of great Austrian coffee and quite possibly the best bakes in Amman while you browse for your next read from the biggest collection of French literature available in Jordan. Fann Wa Chai is a place where minds come to rest. This cafe is just the place to cozy up to a good book (check the stacks stowed away under their tables) with its soft lighting, relaxing music and homey drinks and sandwiches. If you ever decide to take a break from your book, make sure to take a look around their changing display of local and regional art. 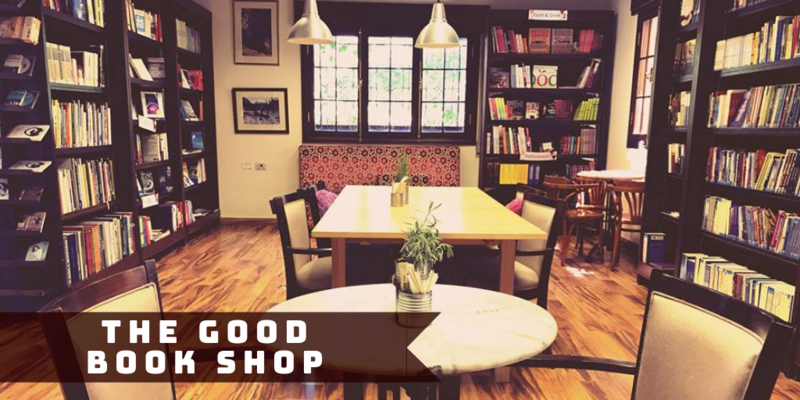 Located in the heart of one of Amman’s oldest and liveliest neighborhoods, The Good Book Shop boasts a friendly atmosphere, a lovely garden, and amazing coffee. 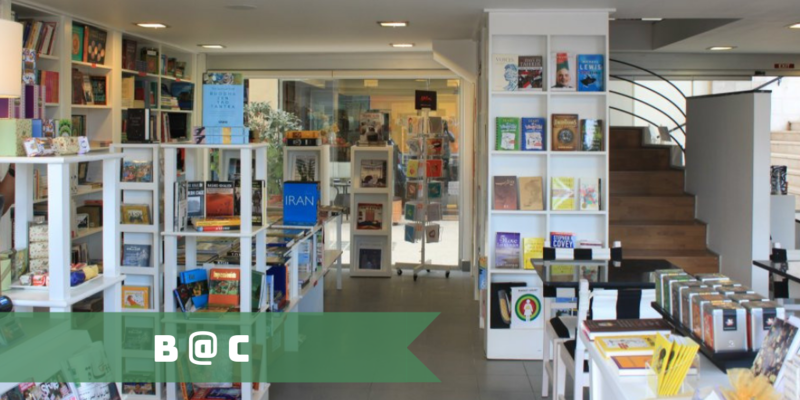 Their endless shelves are lined with both Arabic and English books, making it an ultimate urban getaway for book loving locals and expats alike. 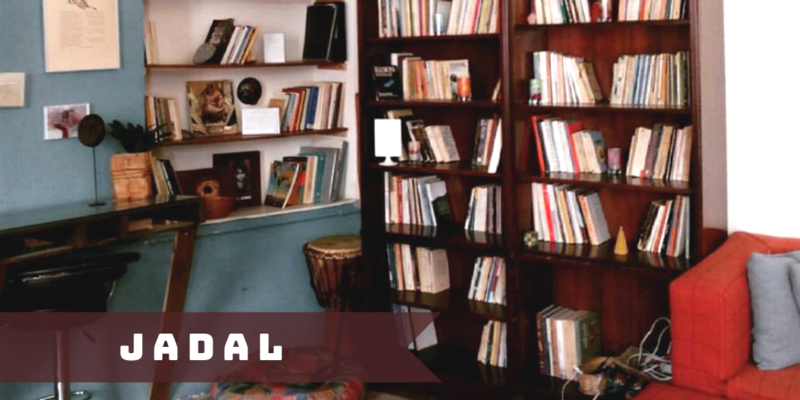 Situated in one of the oldest buildings in Jabal Al Weibdeh, this house built in 1933 boasts a beautiful yard, an art gallery, and a cozy reading area. Warm and inviting, Jadal is the perfect spot for a little escape. Grab a book from their collection, bring your own, or even better yet, swap one of your own for one of theirs. This beautiful bookshop cafe houses hundreds of books on everything from poetry to cooking. In the summer, make sure to enjoy B@C‘s outdoor area, and if the sun isn’t shining, don’t worry, their elegant aesthetic should do the trick. Buy yourself a book and sit down for a quick coffee, a full-blown meal or anything in between. Expect to find hearty salads and scrumptious desserts on the menu too. Here’s to fresh coffee, good books, and all the other simple yet glorious pleasures in life!